Bring a large pot of water to a boil and salt it. Put olive oil in a large skillet over medium heat. Add shallots, garlic, and pepper flakes and cook for about 1 minute; add tomatoes and squash, and cook with some salt and pepper. When squash is tender, about 10 minutes for shreds, 15 or so for small cubes, cook the pasta until it is tender. 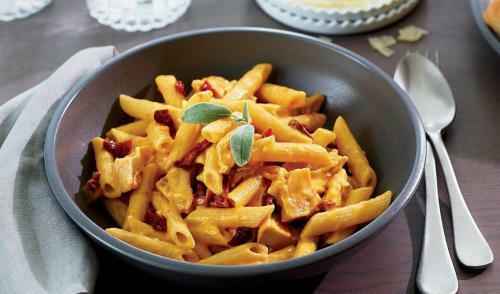 Combine the sauce and pasta, and serve, garnished with parsley or parmesan.